Dry, clean underwear bring dignity and comfort to Hurricane victims. Women's Menstrual Cycles do not stop when there is a hurricane. Babies need diapers more than ever in times of tragedy. Donate Today. 134 Packages of Undies: 874 Pairs of Undies of all shapes, colors and sizes! A Heart-FULL of Gratitude to YOU; Sisters for Peace just shipped the following to victims of Hurricane Maria! Lots of full bellies and clean and dry bums because of you! A heart-full of gratitude to all of you for your generous kind hearts! 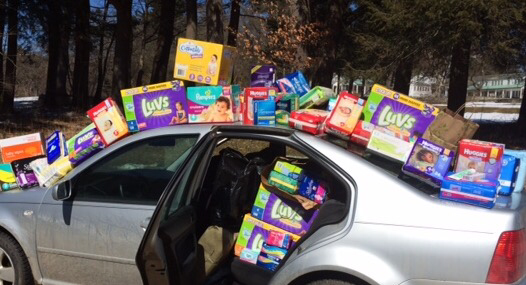 Sisters for Peace is very committed to supplying diapers to families in need. This is a very serious issue in the United States! 1 in 3 Families are in Need. FAST FACTS: 5.3 million children in the U.S. aged three or younger live in poor or low-income families. 1 in 3 American families reports experiencing diaper need. Diapers cannot be obtained with food stamps. Disposable diapers cost $70 to $80 per month per baby. ​No state or federal child safety-net program allocates dollars specifically for the purchase of diapers. Without transportation, buying diapers at a convenience store rather than a large “big box” store can significantly increase the monthly cost of diapers. Infants require up to 12 diapers per day, toddlers about 8. NEGATIVE CONSEQUENCES Babies who remain too long in a soiled diaper are exposed to potential health risks. Most childcare centers, even free and subsidized facilities require parents to provide a day’s supply of disposable diapers. Cloth diapers are not accepted at the vast majority of child care centers. Many parents cannot go to work or school if they can’t leave their babies at child care. 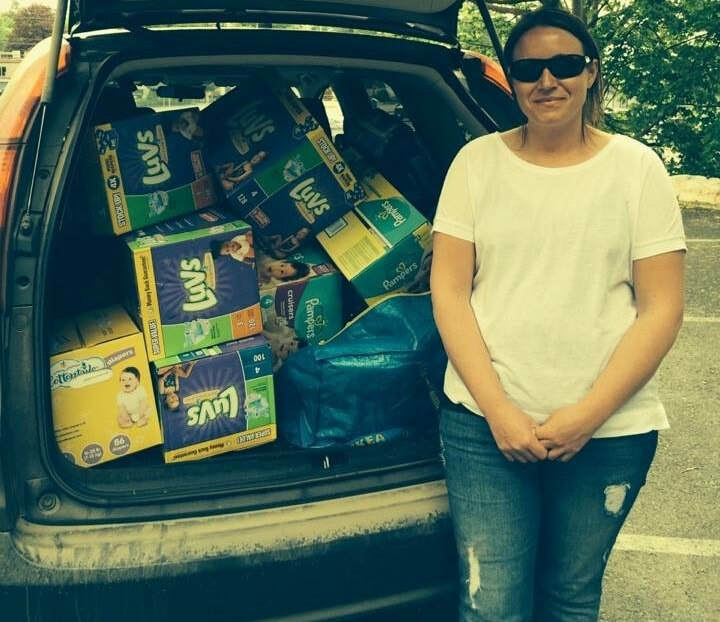 ​Sisters for Peace accepts diapers and feminine products and monetary donations. 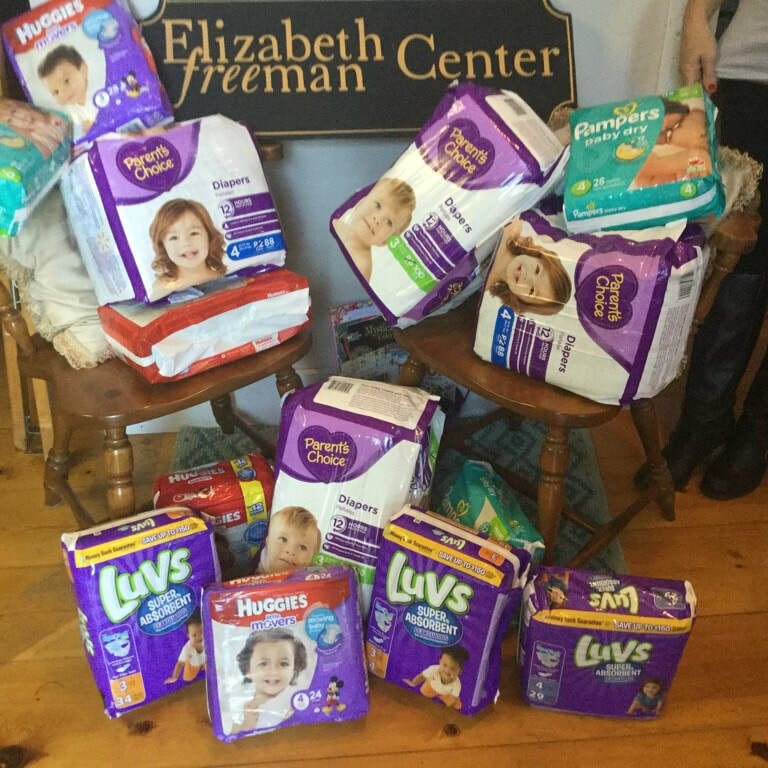 We then deliver the diapers to child care centers, community centers, food pantries and other ​organizations who give them to families in need.